Jedediah W.P. 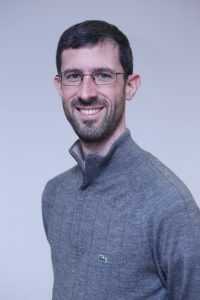 Allen is an assistant professor in the Department of Psychology and co-director of the BIL-GE developmental lab at Bilkent University. An associate editor for the journal New Ideas in Psychology, he recently received a national grant. Dr. Allen pursues theoretical and empirical issues in the area of developmental cognitive science, with a focus on the nature of representation, learning and development across the domains of social–cognitive and cognitive development. Specific areas of research and publication include (over-) imitation, development of trust and deception, theory of mind development, infant research methodology, the nativist–empiricist debate and the role of action-based frameworks in the study of developmental psychology. I think that like most people, I went along and did school because I was good at it. I originally started out in engineering, again, just because I was kind of good at it. And after my first year, I realized I hated engineering, and ended up just taking random courses as part of a sort of secondary education. The more courses I took, the more I settled on my major, which was in cognitive science. I just happened to be taking computer science, philosophy and psychology, and that is basically what cognitive science is. I guess I’ve always been a little bit intellectual, so going to graduate school made good sense. I was doing neuroscience, working in the lab, and I thought I was going to do that. But then I decided I didn’t like neuroscience. I wasn’t going to go to graduate school. I was going to think about what I wanted to do in life. And it was in my last semester that I happened to take a course in developmental psychology from a person who was roughly a Piagetian, and he taught in a way and we talked about things that made sense in my cognitive science education. Piaget was sort of a psychologist, but I think really, he was a cognitive science person. He addressed philosophical issues with empirical methods. Anyway, I then figured there was a space for me in graduate school in this general direction. I don’t know if I’d ever thought about being a scientist. I suppose I am. But I don’t know that I made an explicit decision to become one. It was just a matter of my education leading me down different paths, and where I ended up was wildly different from where I started out. Even within cognitive science, I was a full-on neuroscience guy as an undergrad. I didn’t really do anything with development until, my mom, who has a PhD in education psychology, said, “Take a development course; you might like it.” I had to petition to get in because I didn’t have the prerequisites. And so, circumstances led me down this path. What inspires you? Like, when you wake up in the morning, how do you convince yourself that you should work today? Well, for the things I don’t like to do, I suppose the fact that it’s my job convinces me. But for the things I do like to do, and for the general sort of value system…I mean, obviously there are lots of things that aren’t so enjoyable. But it’s not that I don’t like doing them, because I value system as an academic, as a teacher, as a researcher. When you’re working on projects that you really like, it’s easy to be excited by what you’re doing at times. But in general, you’re not excited to do what you’re doing. You’re just moving along. But working with people is, I think, a huge part of keeping your motivation for whatever you’re doing. Working by yourself on something, even if you’re into it, can be difficult. So having people around is part of the inspiration, as well as having the opportunity to work on things that you care about. Could you explain your current research for our readers? It has two aspects: one is more conceptual, theoretical, philosophical; the other is more empirical. The conceptual stuff is trying to look at how we do our science, in developmental psychology anyway; and looking at how we have lots of philosophical, theoretical, conceptual assumptions built into the design of our studies. So, when we do an empirical study, it’s not really just an empirical study. The sort of facts that you get are usually reaction times, differential activity of the brain, etc. Then everything after that is actually interpretation. All that interpretation has implicit philosophical assumptions, which is fine, that’s how science works; you have to make those assumptions. But my theoretical work focuses on trying to make them explicit and sometimes critiquing them, like suggesting that the design methodology we have presupposes a certain set of assumptions, and that those assumptions aren’t good ones to make. Therefore, maybe we should rethink our design methodology. I call this applied philosophy of science. Philosophers do philosophy of science. I think I do applied philosophy of science because I’m actually trying to be a scientist. I want to have the best conceptual framework for how we think about things, using the best methodological designs to look at their empirical aspects. I think you can do that only if you critically analyze the methodologies in the way I just talked about. So, that’s one side of my work, and that’s the kind of work you do mostly by yourself. The other side is the more (so-called) empirical part, where we do studies, manipulate variables and look at dependent variables and outcomes, mostly in preschool-age children. That aspect of the science is something that I work on with students, and for that I do social learning, which is learning from other people as humans. A large part of why we have skyscrapers, and the internet and chimpanzees don’t, is because of the ways in which we learn from others, language being a major aspect of that. So that’s been a large part of my empirical focus: how we learn from other people. I’ve also spent some time looking at deception, because of course in needing to learn from other people, there’s always the possibility of deceiving, especially with language. Much more information, much more knowledge comes through language, and language can always be used for deceptive purposes. So actually, I study deception along with social learning as two different aspects of the ways in which we have the culture we have as human beings. I have no problem with the idea of fundamental research; I don’t think my research has direct implications for how we do things in the world. At a general heuristic level, the theoretical perspective I take definitely has applied potential. I think knowledge is constructed, and thinking knowledge is constructed has very straightforward pedagogical consequences. But in terms of the specific research studies I do and the findings I get, I think their value is in terms of fundamental research. And I’m personally okay with that. As far as the theoretical work goes, I actually think in some ways it’s more important, because for a generation we spend a lot of time doing research in a certain way, and then a generation later we oftentimes are doing research in a completely different way. And I think it’s only through the sort of theoretical work I try to do that we make those qualitative jumps. And so I think the value there is for science in and of itself, and then there are a couple of further steps that need to be taken to get to the level of some sort of application. Putting on conferences has been very nice; I mean small conferences, small workshops, where you might give a talk that you’re really proud of. Sometimes you give a talk at a conference, and you think the work you did is really pretty interesting stuff. So it doesn’t matter whether or not you’re speaking at a prestigious conference – what matters is that you’re sharing with others something that you spent time and energy working on. That’s enjoyable. What is one bit of science from the field that you think everyone should know? That there are no strictly empirical studies. All empirical studies involve some level of conceptual aspects, and when we pretend they don’t, it’s worse for our science. It shows up in terms of replication problems. Psychology right now is having all sorts of replication crises: you go to replicate results in the lab, and they don’t replicate. For some of these studies, I think if we had just spent a little bit more time thinking about what people were saying – the ideas, the concepts – maybe we would never have run the study in the first place, because it didn’t really make sense. Studies are more conceptual than people acknowledge, and I think the lack of understanding of this is to the detriment of our science. I used to do my best thinking in my office at home, wherever that was. I don’t get a chance to do much thinking these days, being too busy with too many things. For the first few years, teaching is just wildly overwhelming. Building up our department was overwhelming for the first few years. Once you get that stuff under control, then you have an onslaught of students that you’re working on projects with, and just managing the schedule for when you meet with students turns into this huge task that becomes time consuming. So the only time we get to think is during one of our breaks: Christmas or the summer. And I’m a solitary person. I like silence. I like to be by myself. I like to be surrounded by my resources, so I just have my papers spread out around me. And I like to be alone. Wherever that is. What’s the most common misconception about your work? I think for people outside the field, it’s thinking that we do clinical therapy. For students, it’s thinking that we’re just teachers. Football, except I’m getting a little bit too old for it and keep getting injured. Before I moved to Turkey, roller hockey, but nobody here plays roller hockey, so just sports. Sports are good. And any sort of outdoor activity. I enjoy talking, discussing and arguing. I get along well with philosophers because that seems to be mostly what they do. What do you like about Turkey? Turkey has lots of wonderful aspects. It has beautiful geography, and lots of nice food from different places, so it’s got a good cuisine. There are cultural norms about being friendlier and more helpful in general that come through. There are hospitality norms that, as a foreigner, you get to experience. Actually, being a foreigner in Turkey is ideal, because you get all of the good parts of the culture and don’t get any of the downsides – so people are constantly looking out for you and concerned about you. But then, you don’t deal with the dark side of what is a more collectivistic culture, I suppose. Bilkent in particular is great. It’s like a little Smurf village, but I mean that in a good way. There are lots of like-minded faculty members around. It’s easy to have casual engagements – going for coffee, lunch, dinner. There’s no absence of potential friends. Also, living where you work is very convenient. Having a cleaning lady is amazing. In North America, nobody has a cleaning lady unless they’re very wealthy; you have to do everything yourself. Here, some things are taken care of for you. And, like I said, the students. I don’t know if it’s a Turkey thing, a Bilkent thing, or a Bilkent psychology thing, but I think our students are wonderful.